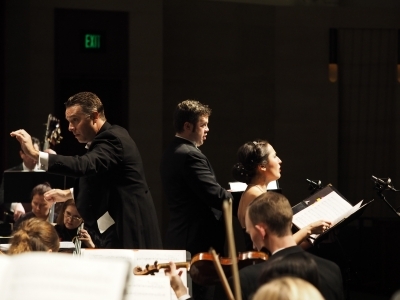 Two very special performances took place as part of the Joint U.S. Premiere of The Great War Symphony on on 11th November 2018 – the exact centenary of the Armistice. 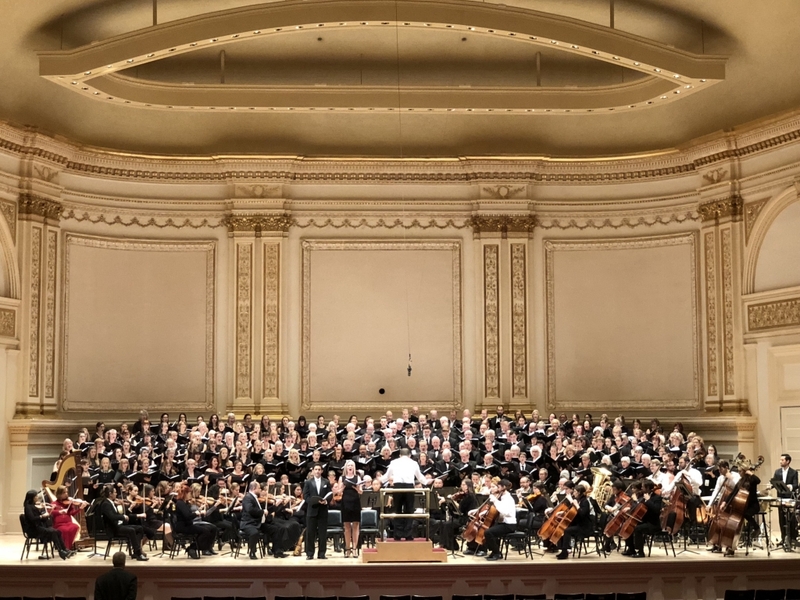 In New York’s Carnegie Hall, I was joined on stage by 220 singers from around the world in a performance organised by Distinguished Concerts International New York (DCINY). The choir were supported by soloists Diana McVey and Scott Joiner and the Distinguished Concerts Orchestra in a beautiful performance of the Symphony which, just as in the Royal Albert Hall last month, received a standing ovation from a very appreciative audience! My huge thanks go to all the choirs and individual singers who joined me for a very emotional and memorable few days in New York including South West Philharmonia & Chorus, New Mexico Peace Choir, Maristen Gymnasium Furth, Pangbourne Choral Society, Tapestry, The Cecilia Consort, Candover Valley Choir, Belfast Philharmonic Society, and the Canadian Military Wives’ Choir. 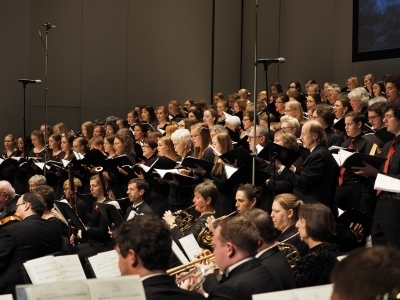 Meanwhile, over in Minnesota, the Oratorio Society of Minnesota were also performing the Joint U.S. Premiere of the work. Even thought I couldn’t be there, I’m lucky enough to have seen and heard a recording of this fantastic performance at the Northrop Auditorium which was filled to the rafters. I’m pleased they were able to feature the newly refurbished organ at important climaxes in the Symphony and the use of archive images really added another layer of remembrance.